It’s back; the rumours are true. Arniesairsoft’s official event is back with a bang! 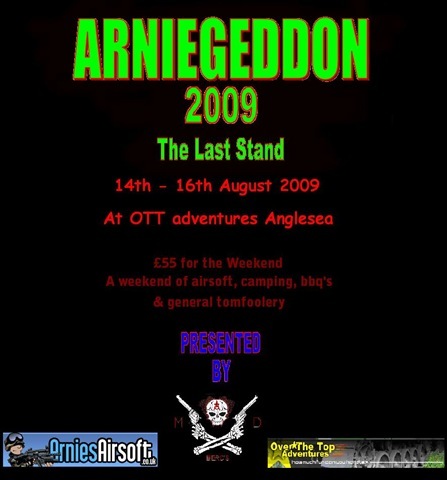 For more details of the event visit the Arniegeddon 09 forum. For more site details, visit www.ottadventures.co.uk.